Polymer Papers manufactures and supplies a wide range of Base and Resin impregnated Filter Papers including Crepe grades of Fuel Filter Paper. The various impregnated Filter Papers are available with Resol, Novolac, Acrylic, PVA and Melamine resins. The range of filter Papers has applications in Air, Fuel, Gas, Lube & Hydraulic Oil. 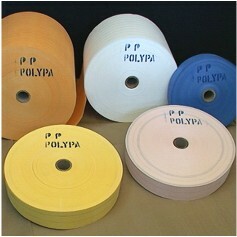 Polypa Impregnated Filter Papers are manufactured in accordance with internationally accepted standards at its state-of-the-art manufacturing facility.